Richards addressed attendees of an event called the “State of OUR Union” Tuesday evening, scheduled to coincide with President Donald Trump’s State of the Union address to the nation. 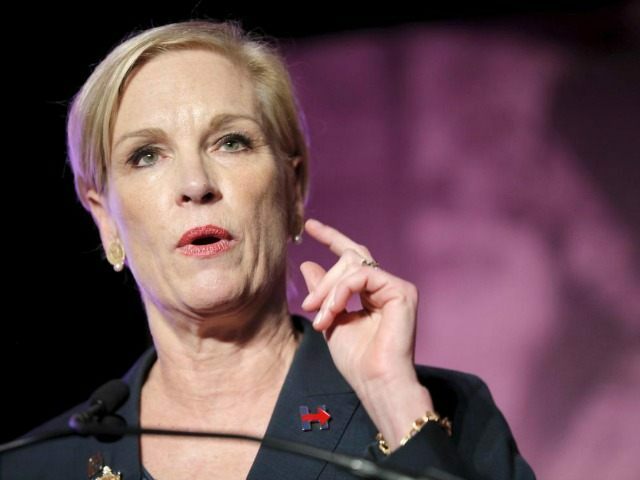 Under Richards’ tenure, the U.S. Department of Justice has launched a formal investigation into Planned Parenthood in the wake of allegations that the abortion vendor has profited from harvesting the body parts of babies aborted in its clinics. Additionally, Planned Parenthood’s own annual report, released earlier this month, shows the organization continues to perform over 320,000 abortions per year while it boosted its profits in 2016-2017 by $21 million – or 27 percent – from the previous year. The group also took in nearly $544 million in taxpayer funding, though the number of many of its non-abortion services has significantly declined. In her address Tuesday evening, she called upon the government of the United States to change to a “representative democracy” that focuses on the needs of women who want abortions and free birth control, as well as illegal immigrants, LGBT individuals, and Black Lives Matter supporters. Currently, Richards is working to get more women elected to public office with the hope that more women will share her priorities. “If we had more people in Congress who could get pregnant, we wouldn’t be arguing over access to reproductive healthcare,” she told attn.com. A recent Marist poll found that 76 percent of Americans – including 92 percent of Republicans, 78 percent of independents, and 61 percent of Democrats – would restrict abortion to, at most, the first trimester of pregnancy.